What exactly is overloading and what does it entail? One of the fastest growing, and most popular trends in adventure travel at the moment is overlanding. Typically, this style of travel involves covering long distances in a motorized – usually off-road – vehicle, with the emphasis placed less on the destination and more on the journey. As you can imagine, this opens up the possibilities for the more self-reliant adventurer to explore the world in their own personal way, and at a pace that he or she is completely comfortable with. And while overlanding certainly isn't for everyone, the opportunities for unique and completely genuine moments just might be unrivaled. Historically speaking, overlanding generally traces its roots back to Australia, where the term was originally used to describe ranchers driving their herds of cattle for long distances across the Outback. Later, the same term would be coopted by the first individuals to begin building roads through the remote corners of the Australian continent – roads which are still in use by overlanders to this day. Over the years, overlanding has spread across the globe, earning an avid following long before "adventure travel" even became a thing. For the most part it was popular with a fairly small, niche group, although that has started to change more recently as travelers begin to look for new experiences that go beyond the norm. This has given rise to a new generation of overlanders who are now setting out with much better vehicles and equipment, and are far more informed about where they are going than ever before. 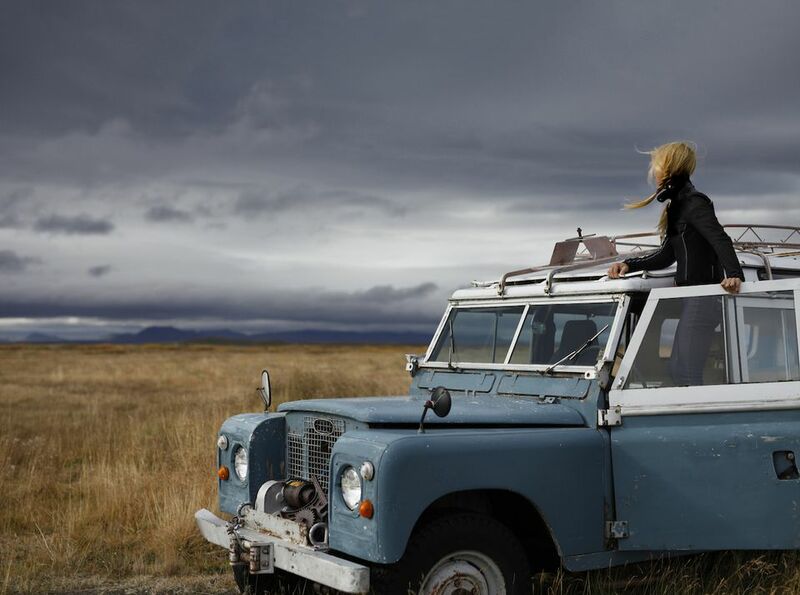 The Land Rover has always been held in high regard as a vehicle built to withstand the demands of overlanding and many adventurers swear by them. In recent years however, other vehicles have stepped up to become quite popular with overlanders as well, including the Toyota Land Cruiser and the Jeep Wrangler, each of which have earned themselves reputations for being rugged and reliable when used as modes of transportation through remote areas. A good overlanding vehicle needs to be tough, dependable, and have the ability to pass over some of the roughest terrain imaginable, possibly in places where no roads exist at all. Of course, overlanding doesn't need to involve just driving a 4x4 vehicle through remote regions, as overlanding can also be done by train, motorcycle, or other modes of transportation as well. In the traditional sense, overlanding is all about covering long distance on the ground, but a journey by train across the entire length of the 5772-mile long Trans-Siberian Railway in Russia is an impressive adventure no matter how you look at it. Traveling by motorized vehicle allows overlanders to be more self-reliant and versatile along the way. Most load up their trucks and SUVs with all of the supplies and gear they needed for an extended trip, including food, water, fuel, and camping equipment. On longer trips they'll plan their route so that it occasionally wanders close to towns where getting resupplied is a viable option. In this way, they can stay self-sufficient in the field for longer periods of time, just dipping in and out of civilization long enough to get the things that will be necessary for the next stage of the journey. Camping outdoors while traveling is a major part of the overlanding experience, in part because there are often no hotels or resorts along the route, and because camping allows you to sleep and eat just about anywhere. Most overlanders simply pack a sleeping bag and a tent for their accommodations, although an increasing number are actually using roof-top tents on their vehicles to get a better night's sleep while on the road. Companies like Tepui Tents make some great options for these types of shelters which are aimed specifically at overlanders. While more expensive than traditional tents, they do provide a much higher level of comfort that is much appreciated on longer excursions. What separates overlanding from traditional car camping is the distances traveled and the remote nature of the route. Car camping often involves driving to a campsite and spending a few days there with easy access to amenities. By contrast, overlanding typically heads out to places where designated campsites may be nonexistent, and the luxuries are fewer and further between. That total escape from modern life into a remote area is part of what is spurring the current overlanding craze as travelers look for more opportunities to escape from the grid for awhile. Need further proof that overlanding is becoming more popular? A website dedicated to this style of travel called Expedition Portal had 2000 members a decade ago. Today, that membership has grown to more than 150,000, each sharing ideas on where to go, how to travel, and what to take with them when they hit the road. The site is an excellent resource for those looking to explore the topic further – as is the Overland Journal, a magazine dedicated to this style of travel as well.